Back to the Dreaming, the only place where I ever get any actual rest. Honestly, I don’t think I’ve done better than to sleep in two-hour spurts in over a year. Could it be because I quit drinking? 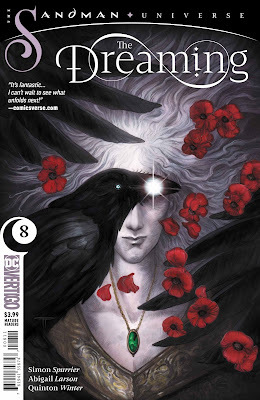 Never mind all that, though, check out my review of The Dreaming #8, which is just below! 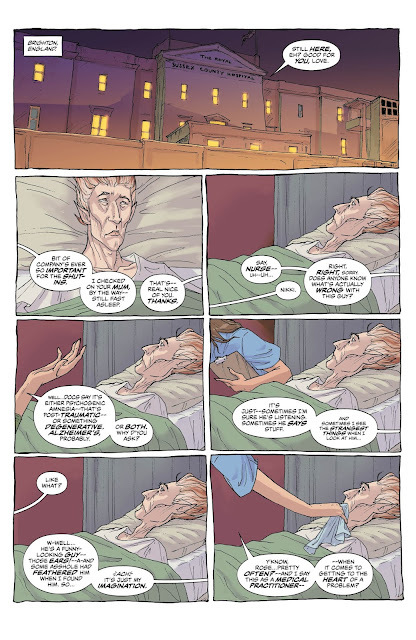 Rose Walker is still at the hospital, telling Lucien her life’s story. It’s a pretty mean trick, really, to orate to an invalid. He can hardly tell her to shut the hell up, or even throw himself out the window. Instead, he has to hear that after Daniel Dream got his tramp stamp from Ivy, things soured between them—they’d grown more distant because the relationship was no longer perfect. Ivy wanted to know what was wrong and Daniel appeared annoyed by her persistence. When Rose finally revealed to her daughter that grandma had cancer, it barely registers because she’s so distraught over the relationship. Rose is once again approached by Desire of the Endless, who brings her back into…I guess Destiny’s realm, if I had to guess, and shows how they’re further manipulating events: they cause Ivy to ask Daniel to meet her on the roof of the hospital for some coffees—and that meeting is happening now! Rose pops awake in Lucien’s room and hot-tails it up to the roof, where she finds Daniel sipping a coffee and Ivy just about to. Rose slaps the coffee from Ivy’s hands, and then Daniel’s head ignites on fire and his face starts peeling away—the coffee was poisoned! Daniel blames Ivy and breaks up with her, which shatters Ivy and makes her run off. Instead of following her, Rose takes the time to slap Daniel across the face…gotta admit, it felt kind of good to see that. Rose tells him that it all has to do with that Fawney Rig place, so Daniel appears over there and essentially immolates everyone. 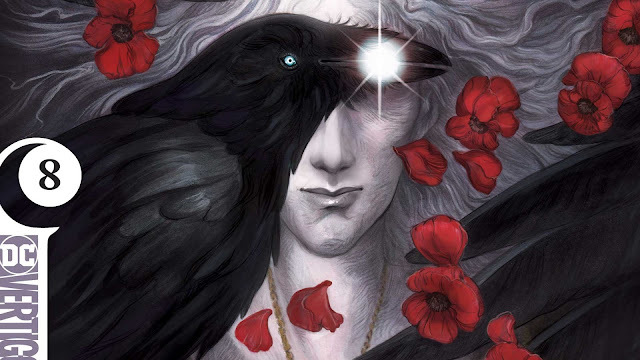 When Rose arrives and asks him what is up, all he can say is that nothing is wrong—and it’s then that Rose realizes his tattoo is a binding spell that doesn’t allow him to tell the truth about what’s going on. Pretty smart, that Rose Walker! 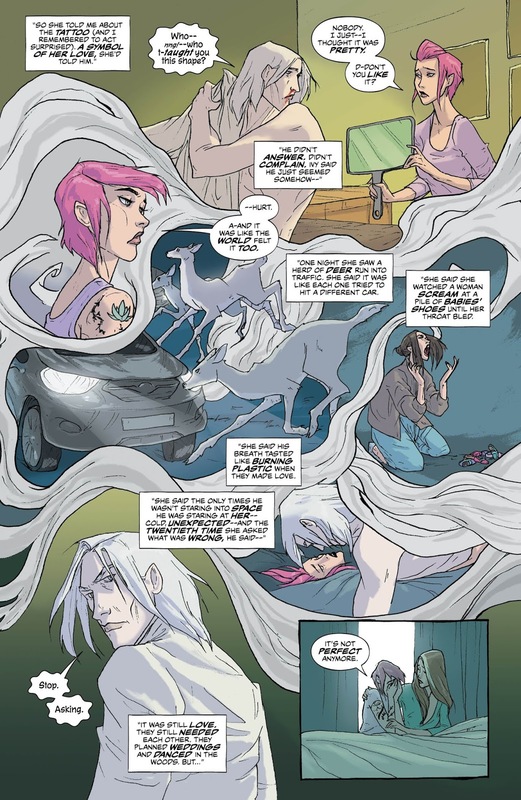 Daniel then whisks to Ivy’s side to find she’s overdosed on drugs and is in a coma…well that works just fine for Daniel, sleeping people are under his purview. Before taking Ivy to the Dreaming, Daniel takes the time to tell Rose Walker that for all her blustery brouhaha, she’s scared to know the things she purports to know, and that’s why she runs from relationships. Later, after being taunted by Desire during a cigarette break, we find that Lucien has always flown the coop—literally! 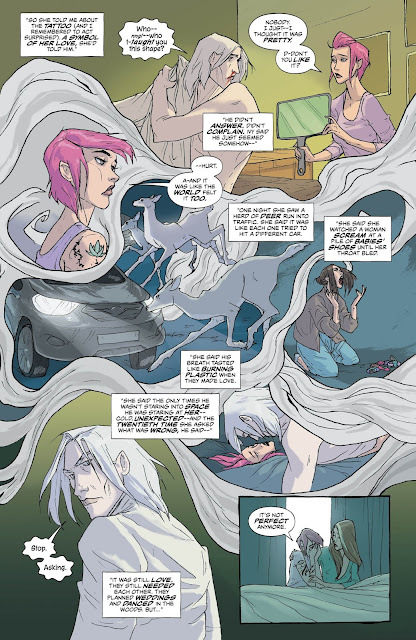 I didn’t really do this one justice with this recap, there’s a lot of nuance and subtext that makes this issue’s story more than just the surface tale of a lame goth couple. Desire’s taunting of Rose at the end is as insightful as it is biting, and Daniel showing a fallible, human side also has great implications. 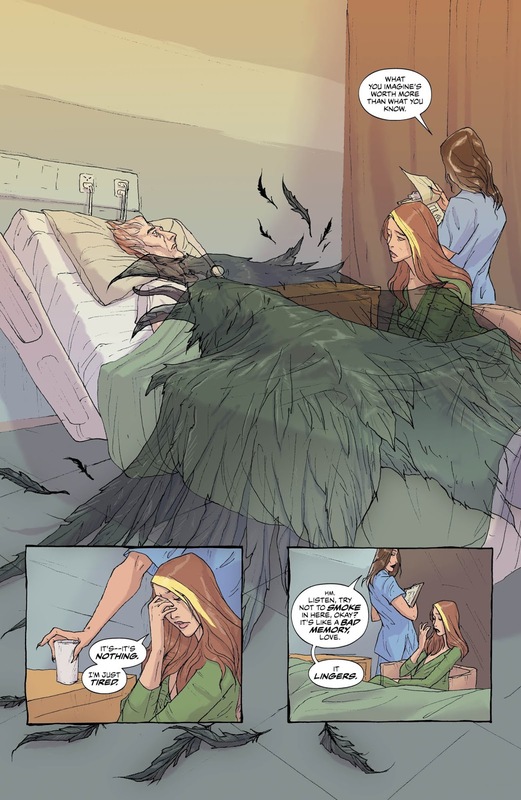 Not to mention Ivy returning with Daniel to the Dreaming, when we know that he wasn’t in the Dreaming last time we checked…so whether this happened before the recent story arc, or begins Daniel’s return to his throne will remain to be seen. But boy I like how it’s all unfolding thus far. 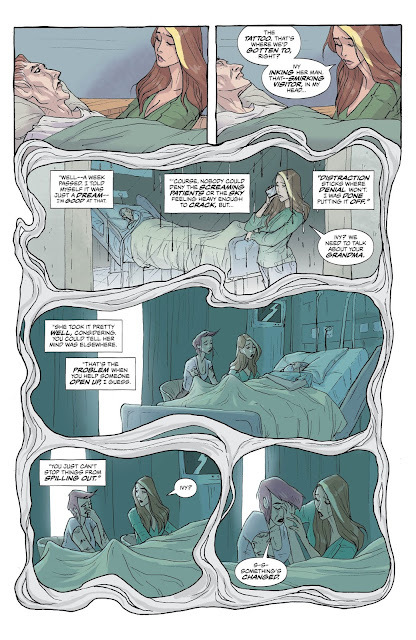 Learning about the tail end of Dream and Ivy’s relationship gives us more insight into both characters, but it’s the exposing of Rose’s true nature that is the real stunner of this story. If you are already disposed to liking these characters, that is.